Time lapse shot of a windy and partly cloudy day in Sedona, Arizona. A blustery autumn day reveals a red Cathedral Rock in the Southwest. 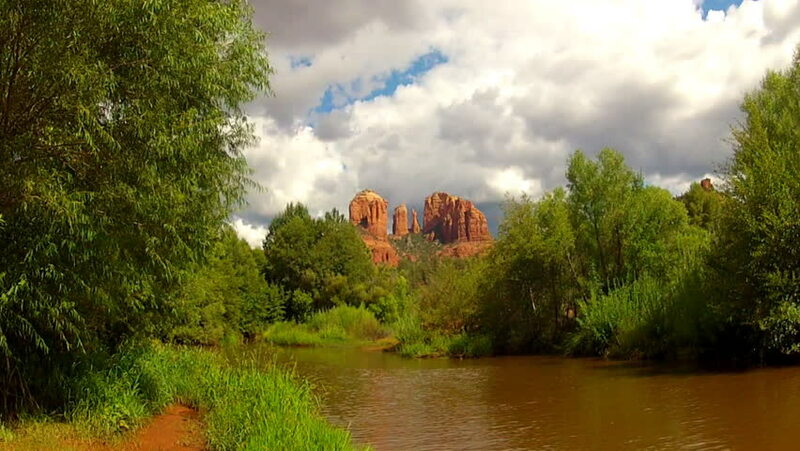 hd00:13SEDONA, AZ/USA: Sept. 14, 2014- A distant Cathedral Rock reflects on the serene waters of Oak Creek at Red Rock Crossing Park circa 2014 in Sedona. 4k00:06Sunny summer park landscape pond 4k timelapse. Moscow city Russia. Tsaritsyno park. hd00:13Orange clouds on a blue background. Morning dreamlike landscape. Mountains and trees in the water. Fog over the lake moves. The smooth movement of camera. Green grass. 3d render. Computer graphics.